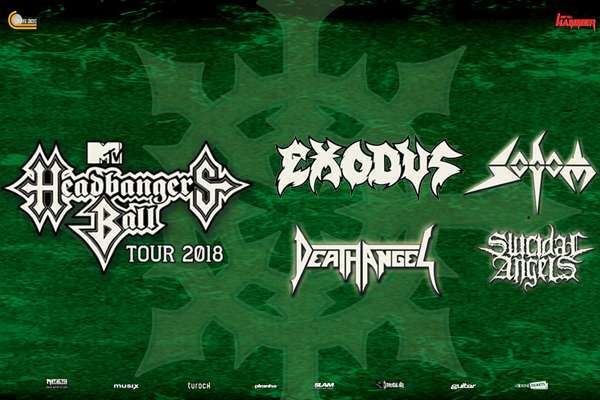 With EXODUS we can announce the final headliner for the MTV Headbanger’s Ball Tour 2018! The Bay-Area-Thrash-Titans are playing their aggressive Thrash Metal for more than 30 years and should be known by every metal-head out there. Exodus are one of the tightest live-bands nowadays and are famous for their merciless gigs! Take care of your children, it’s time for „another lesson in violence“!